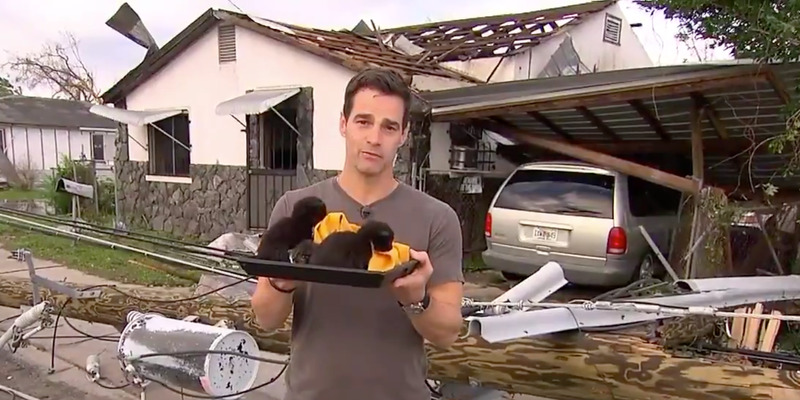 ABC NewsABC’s Rob Marciano holds up four kittens that were found hiding in a family’s attic during Hurricane Michael. Thursday morning, ABC News’ Rob Marciano showed off four kittens that were rescued after Hurricane Michael hit Panama City, Florida. Marciano said he spoke with a family who rode out the storm. When the storm caused their roof to collapse, the four kittens dropped from the ceiling into their kitchen. The reporter has since been using his social media to find an animal rescue group to help the kittens, who were not with their mother. 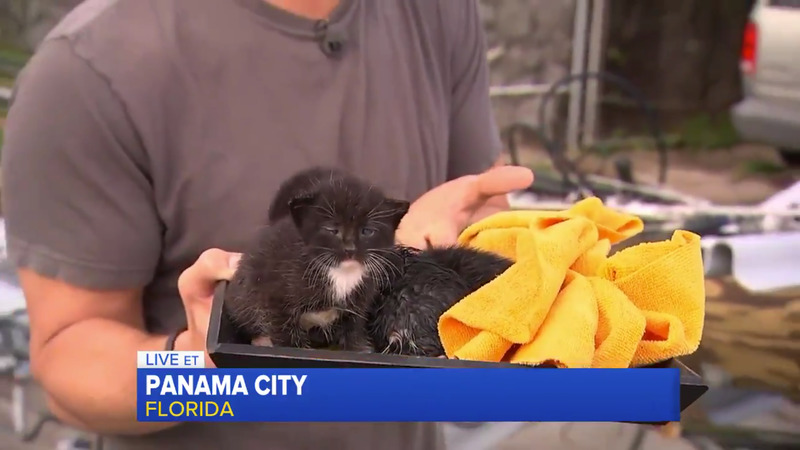 While reporting on Hurricane Michael’s destruction from Panama City, Florida Thursday morning, ABC News’ Rob Marciano showed off four kittens that were rescued from the storm. “They didn’t even know that they were alive up there,” Marciano said, adding that the mother cat was not with them. ABC NewsThe family told ABC News that the kittens fell into their kitchen when their roof collapsed during the storm. He later took to Twitter to ask for help in finding the kittens some shelter and food. Animal rescue organisation Best Friends responded with resources for anyone who finds stray animals in the storm’s path.